Three words: Zippy, Lively and Food Friendly! This South African dream is wildly aromatic with Exotic Spices, Beeswax, Honey and Wild Flowers. Showcasing lovely notes of Peach and Apricot, it brings unexpected texture to the palate. 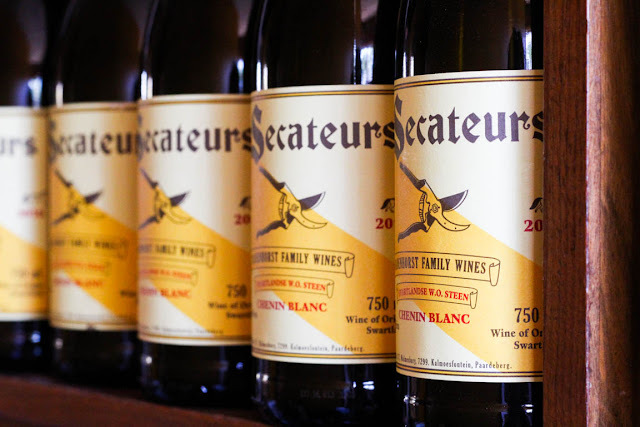 With its unctuous ways, it's kept in check with is bracing acidity. We suggest pairing this Chenin Blanc with a Cheese Board or a delicious Chicken and Mozzarella Panini.